There is no way to treat a cracked tooth at home. You need to see Dr. Cross. Sometimes a tooth hurts only when you eat or when the temperature in your mouth changes (because you drank something hot or cold, for example.) If your tooth hurts all the time, it may have a damaged nerve or blood vessels. This is a serious warning sign. 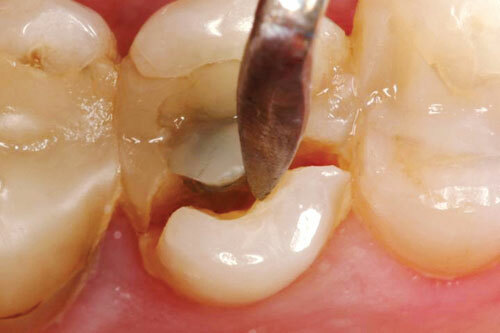 If you have a broken tooth, see Dr. Cross as soon as possible. He can figure out if the break was caused by cavities, and if the tooth's nerve is in danger. Adults with a damaged nerve usually will require root canal treatment. In children, sometimes the damaged nerve can be saved if the dentist is able to treat the problem right away. Minor cracks — Also called "craze lines," these are surface cracks that affect only the outer white surface of the tooth, called the enamel. Minor cracks rarely need treatment. However, Dr. Cross may lightly polish the area to smooth out any rough spots. Cracked tooth— This type of fracture involves the whole tooth, from the chewing surface all the way down to the nerve. The pieces remain in place, but the crack gradually spreads. 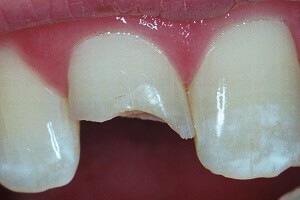 The tooth often will need a crown to prevent the crack from getting worse. If the pulp (nerve and other live tissues) is damaged, you may need a root canal as well. Chips —Minor chips don't always need treatment. Dr. Cross may suggest repairing the damage with filling material to prevent it from getting worse or to make the tooth look better. If the chip is very small, Dr. Cross may polish and smooth out the chipped area. Broken cusp — These breaks affect the pointed chewing surfaces (the cusps) of the teeth. They usually do not affect the pulp and are unlikely to cause much pain. Dr. Cross may repair the damage, however, if it interferes with chewing. Sometimes Dr. Cross can use a file to restore the tooth's shape. Frequently, however, an onlay or crown will be required. Serious breaks— These breaks go deep enough to expose the nerve. They almost always cause the tooth to hurt and be sensitive. Usually, the broken part of the tooth will bleed. You will need root canal treatment to remove the exposed nerve and probably a crown to restore the tooth to normal function so you can eat and chew properly. 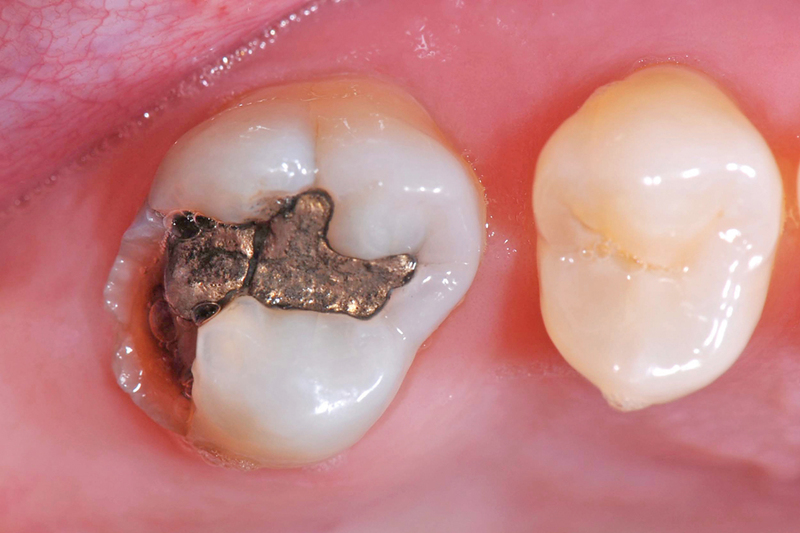 Decay-induced break— In this case, the tooth has broken or crumbled because a cavity weakened it from the inside out. Dr. Cross will evaluate the cavity and recommend the best way to restore the tooth. In some cases, the tooth may have to be removed.